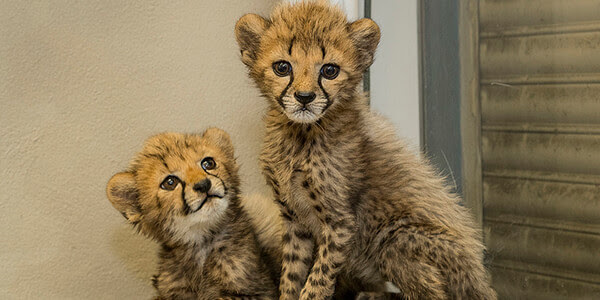 The cheetah cub siblings at the Safari Park's Ione and Paul Harter Animal Care Center continue to capture attention—and hearts. 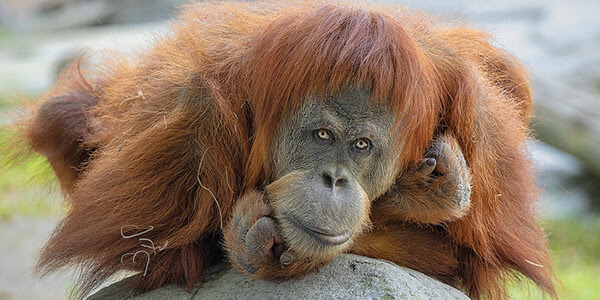 Their mother, Malana, was unable to care for the pair (and their two brothers), so they will be raised as ambassadors for their species. The little felines do not have names yet, but staff call them Pink (female) and Yellow (male) because of the colors of temporary ID markings put on their tails. Since their birth, the animal care team has been caring for them, bottle-feeding them a formula specifically designed for cheetahs, weighing them daily to monitor their health, and simulating the grooming that they would normally receive from their mother. As the cubs have grown, the bottle feedings have become less frequent, and the cubs are primarily eating formula mixed with meat out of a bowl. Guests visiting the Safari Park this month can see the cheetahs in the Animal Care Center nursery at Nairobi Station between 9 a.m. and 5 p.m. 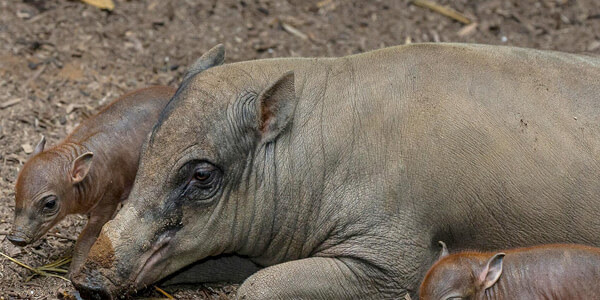 Whether you call them babirusas or "pig deer," as they're sometimes called in Indonesia, one look at the two piglets at the Zoo and you're sure to call them cute. The newest, as-yet-unnamed girls share an exhibit near Treetops Way on Tiger Trail with their mother, Mary-Kate; as well as their older sister, Cahaya, and the Zoo's other adult female babirusa, Fig, and her daughters, Sula and Wesi. 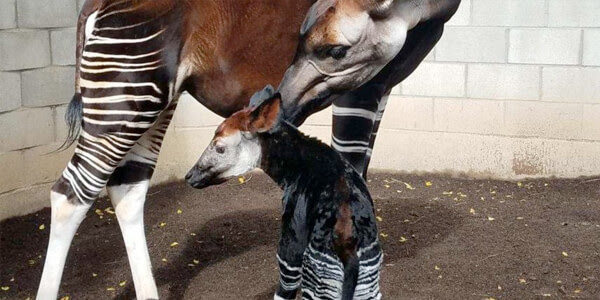 Subira the okapi is doing her part to bolster the population of her species—she gave birth to a male calf late last month. His name is Elombe. It means "brave one" in Lingala, a Bantu language, spoken throughout the Democratic Republic of the Congo, homeland of okapis. The striped new arrival possesses a curious nature and courageous personality. As adorable as the baby is, he's not quite ready for his public debut—over the next few weeks, animal care staff will keep Subira and her newborn in a separate maternity area at the back of their habitat. This will give Subira the necessary space to learn how to take care of her newborn and provide her calf an opportunity to acclimate to his home. A world of exciting wildlife content is as close as your web browser! 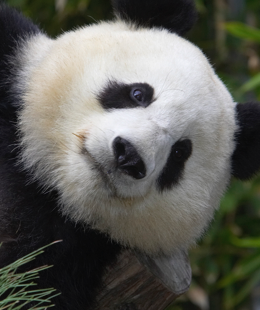 ZOONOOZ Online features articles about your favorite animals and plants, our conservation projects, what our keepers are up to, and even some "wild and fun" stories that will pique your interest. Take us with you—ZOONOOZ Online is mobile friendly, too. Check it out! You can be part of the solution for saving reticulated giraffes by helping us classify field photos collected at two conservancies in northern Kenya. 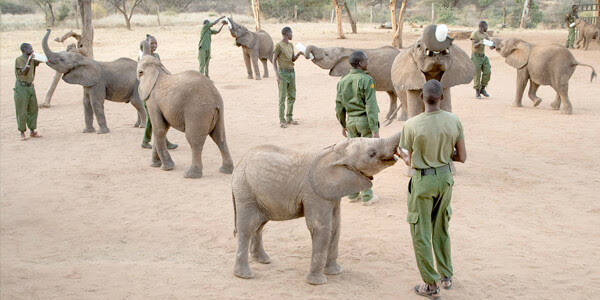 Visit wildwatchkenya.org for a quick orientation and access to our photos from motion-activated cameras. 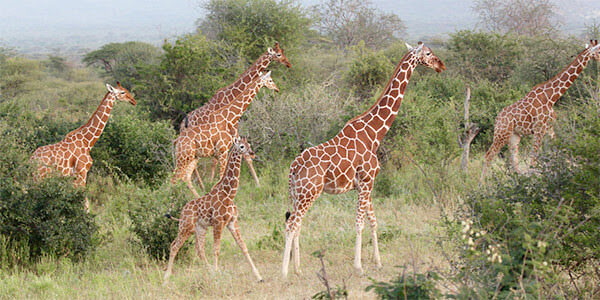 You'll see the lion's share of Kenya's wildlife, including giraffes. We just uploaded a fresh batch of field photos. Visit wildwatchkenya.org and become a citizen scientist today! 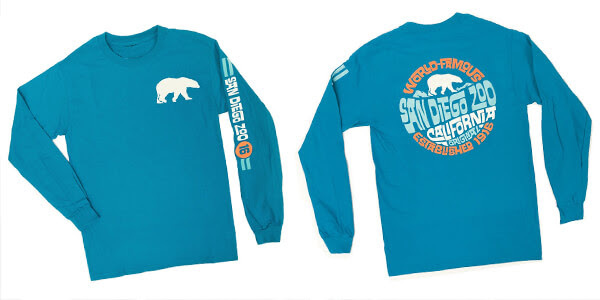 This long-sleeve, aqua-color tee not only celebrates the coolest bear we know—the polar bear—it also pays homage to our founding in 1916. Showcasing unique, flocking-type screen on the front and back, and down the sleeve, this delightfully retro shirt features a timely reminder on the back noting our more than 100 years of championing wildlife. Priced at $34.95, it's sure to become your go-to garment for wherever you're going! Join us for fun under the sun with special animal experiences, activities, live music, and more. Shake off the winter blues and plan your Yaycation with us. 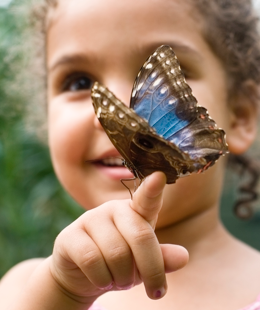 Thousands of colorful winged wonders will return this spring to the Safari Park's Hidden Jungle for five weeks of fluttery enjoyment.